This is pretty cool! 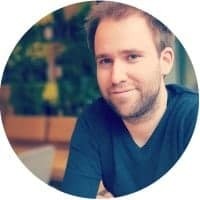 If you are an Office 365 Home or Office 365 Personal subscriber, Outlook.com (formerly known as hotmail.com or live.com) now includes encryption features that let you share your confidential and personal information while ensuring that your email message stays encrypted and doesn’t leave Office 365. 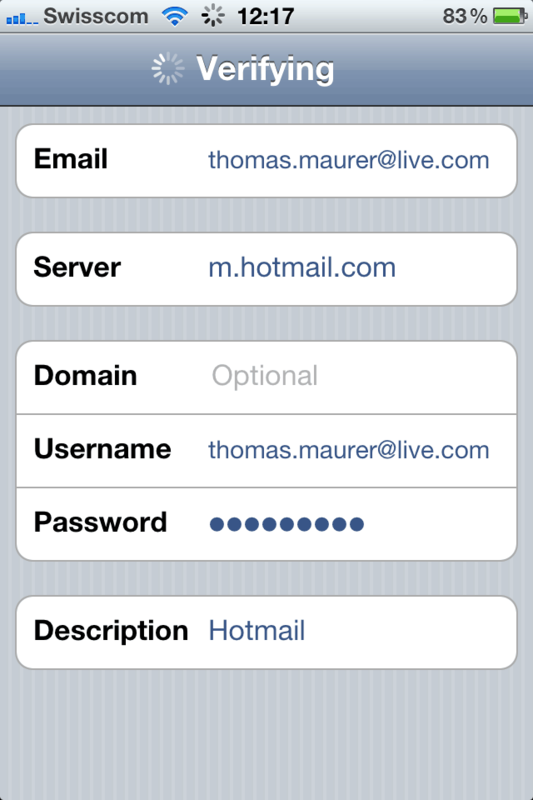 This is useful when you don’t trust the recipient’s email provider to be secure. Encrypt: Your message stays encrypted and doesn’t leave Office 365. 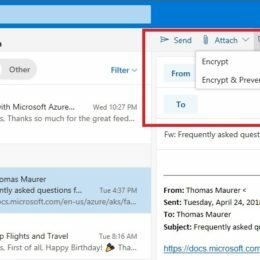 Recipients with Outlook.com and Office 365 accounts can download attachments without encryption from Outlook.com, the Outlook mobile app, or the Mail app in Windows 10. If you’re using a different email client or other email accounts, you can use a temporary passcode to download the attachments from the Office 365 Message Encryption portal. Encrypt and Prevent Forwarding: Your message stays encrypted within Office 365 and can’t be copied or forwarded. Microsoft Office attachments such as Word, Excel or PowerPoint files remain encrypted even after they’re downloaded. Other attachments, such as PDF files or image files can be downloaded without encryption. 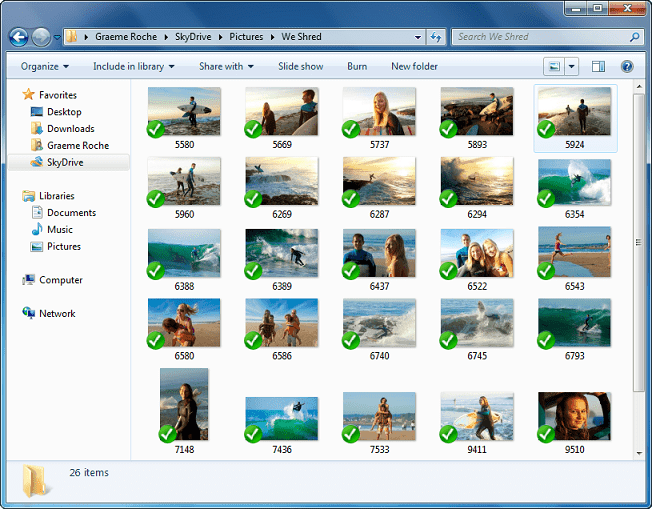 Today Microsoft released some new SkyDrive Apps for Windows and Mac and alos offers 25GB of free online storage. 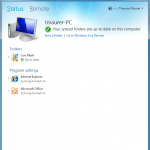 I really love SkyDrive to keep my files in sync and access them everywhere. 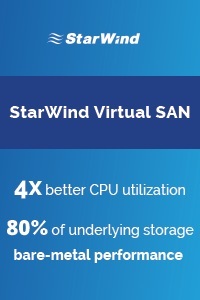 With the new apps the integration is much better, easier and 25GB of free storage is a fair deal. With the new Apps, SkyDrive is integrated in your operating system. If you need some online Storage, Cloud Sync or you are already using a service like Dropbox or GDrive you should have a closer look at Microsoft SkyDrive. 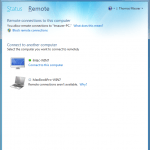 SkyDrive for other devices. We’ve updated the SkyDrive apps on Windows Phone and iOS devices, bringing better management features and sharing options to those devices. We’re also releasing a new preview client for Mac OS X Lion, letting you manage your SkyDrive right from the Finder. Some of my friends now get Windows Phones and I think it is important to start right and get the best possible user experience. 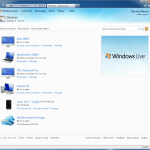 Cleanup your Windows Live Account. 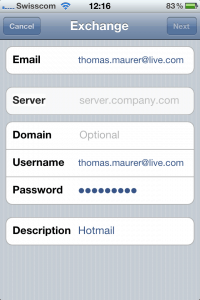 All your Contacts are saved in the Cloud, using Windows Live, Google or Exchange. You can not save contacts on your phone or sync contacts between your Windows Phone and your PC without the “Cloud” as your middle man. 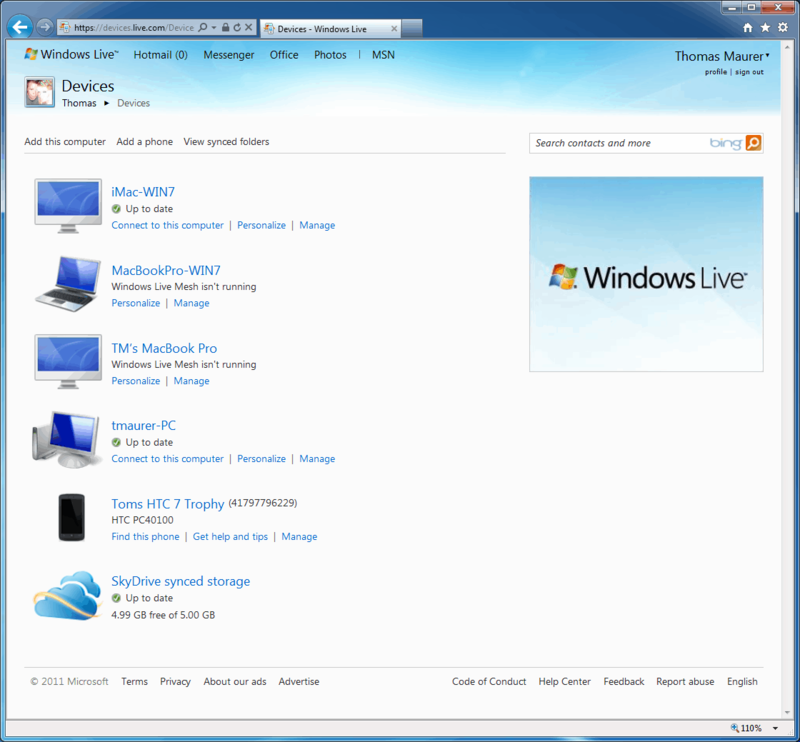 I think the most people will not have Exchange Online account so I would recommend using a Windows Live account. 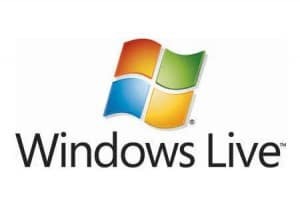 Now when you start your Windows Phone for the first time you login with your Windows Live account and this will sync all your Windows Live contacts to your phone. 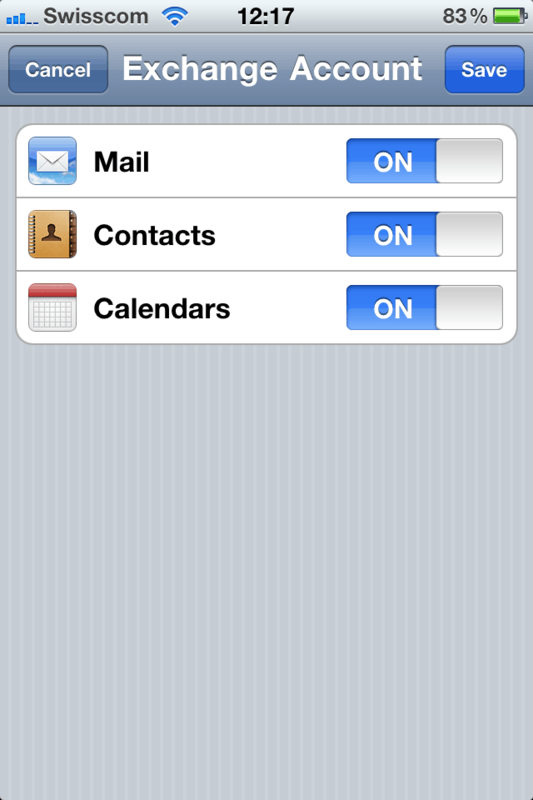 So you can make your life much easier if you have a clean contacts list. 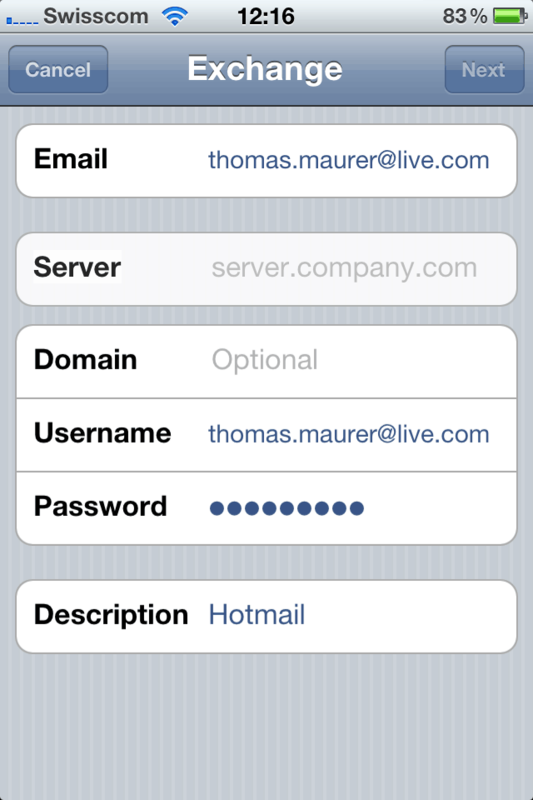 Log-in to live.com and go to contacts. 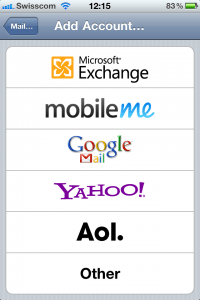 Rename your contacts with their real names, this is important that Windows Live and the Windows Phone can merge accounts with other services like Facebook or Linkedin. 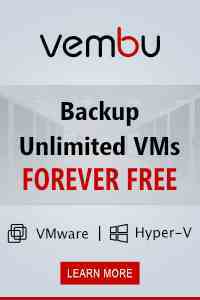 This will merge Accounts and cleanup duplicates. 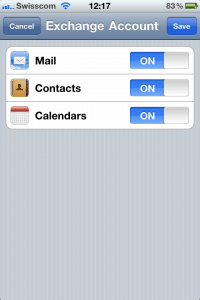 If you still have duplicate contacts you can combine them. 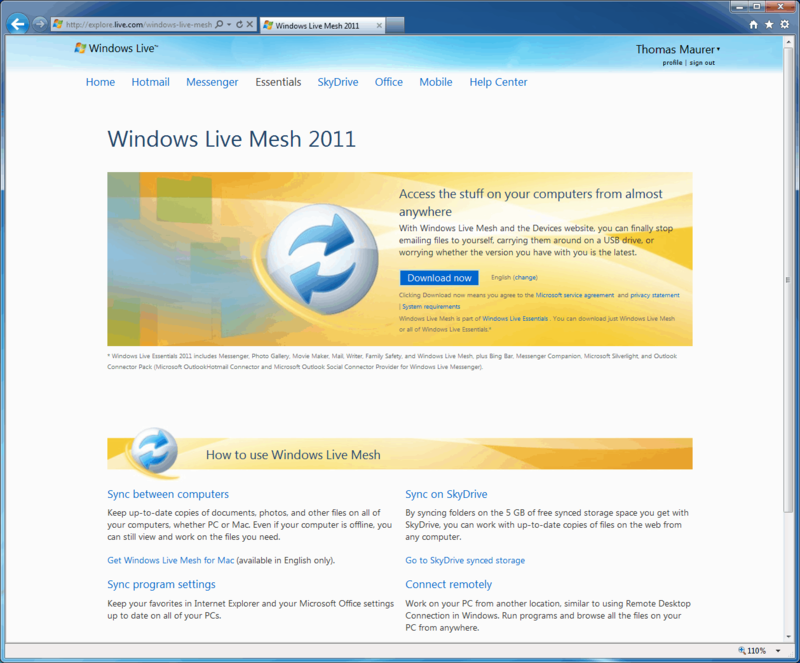 Microsoft released Windows Live Mesh 2011 last year but I did really spend a lot of attention to it. Until this weekend I needed to conneced to my Lab but VPN didn’t work so I didn’t really had a chance to do that. 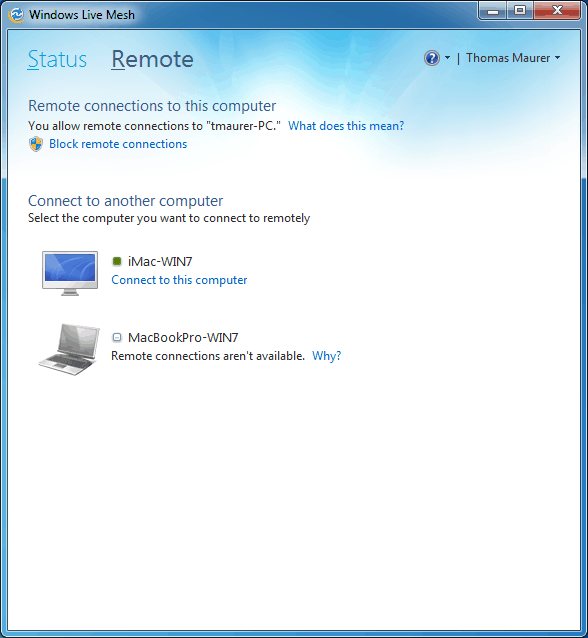 But after sometime I realized that I have a management computer installed with Windows Live Mesh and I could connect to it using Windows Live Mesh Remote Desktop. This really saved my weekend. 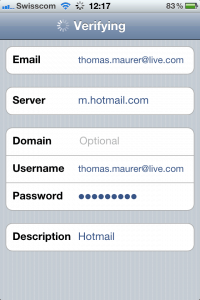 Hotmail or Windows Live do support ActiveSync for Mobile Devices like Windows Phone 7, iOS, Blackberry and so on. 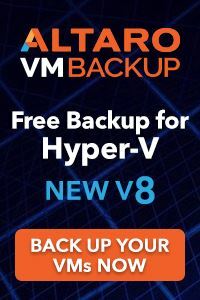 But it does not support Desktop Clients like Mac OS X Mail, iCal and Apple Address Book. 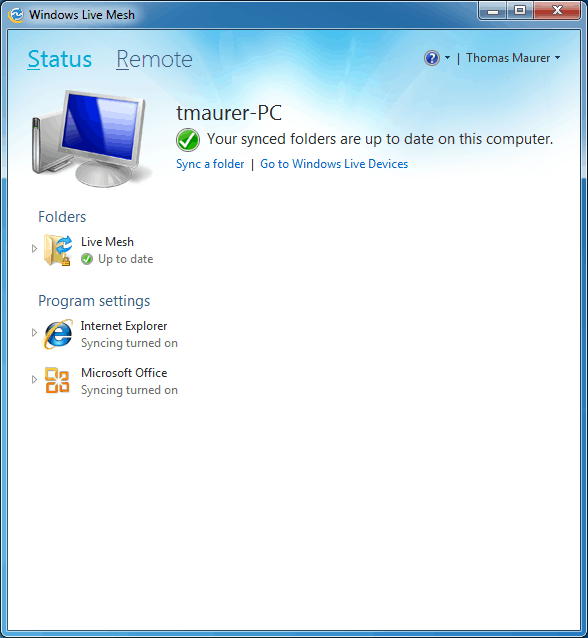 For Windows Computers with Outlook I recommend using Microsoft Office Outlook Hotmail Connector. 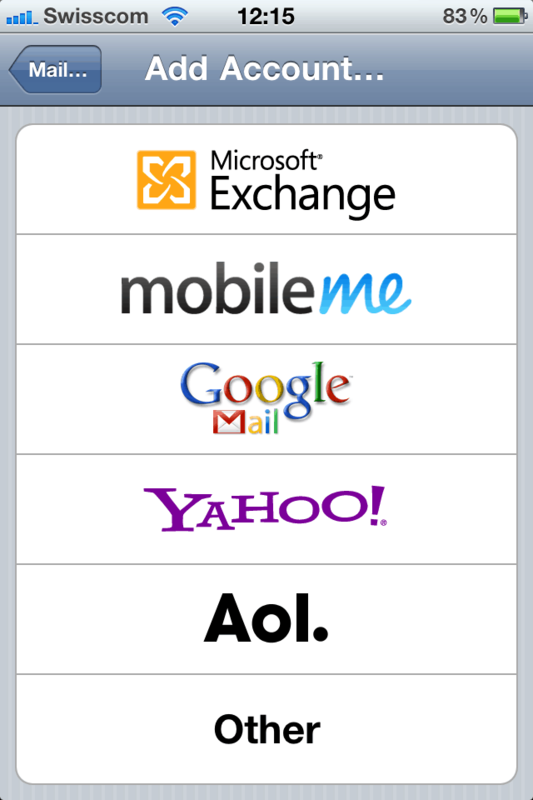 So if you wanna setup your Hotmail account as an Exchange account instead of a POP3 account on your iPhone, thats how you do it.